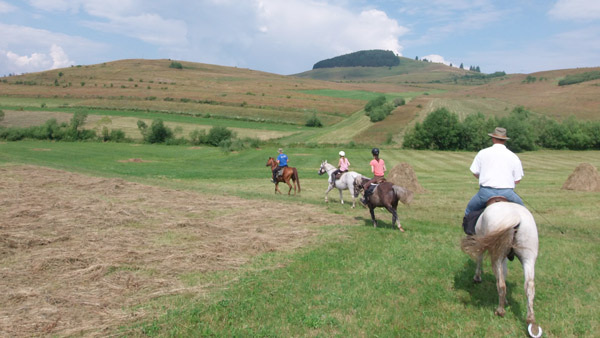 Explore on horseback the mountainous region of Székelyland, where a Hungarian speaking ethnic group from Transylvania live in the valleys and hills of the Eastern Carpathian mountains range. 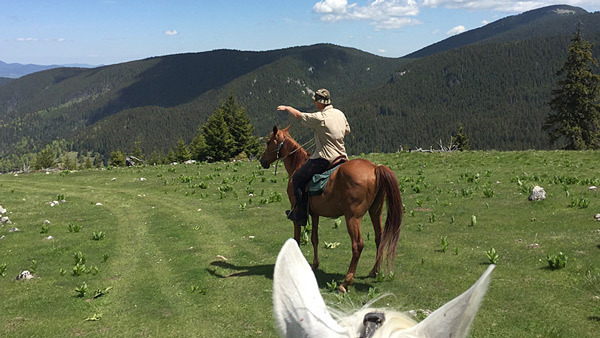 This one-week trail ride takes you to pristine mountainous landscapes with ancient pine forests, pure creeks, dramatic limestone rocks, hidden farming villages and lush meadows still cultivated traditionally by the locals. 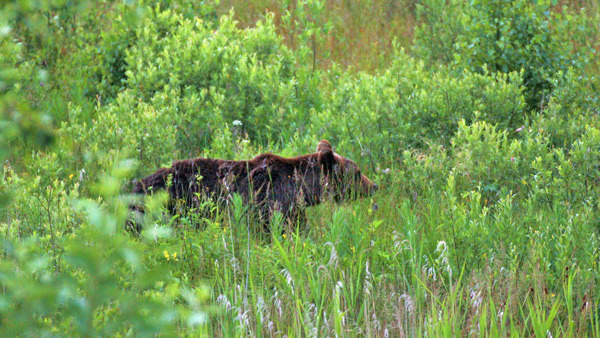 Here you can experience unspoilt nature and step back in time at least 50 years. One of the curiosities of the trail is Red Lake (Lacu Roşu), Romania’s largest naturally dammed mountain lake, which came into being in 1837 as a result of a huge landslide.The tips of the broken trunks of spruce trees can still be seen above the surface of the lake, while its deep-green waters mirror the rocks of Suhardul Mic Massif. Another highlight of the trail is the Bicaz Gorges – Hasmas Mountains National Park with its caves, dolines, sinkholes, defiles and waterfalls providing a picturesque karst scenery. 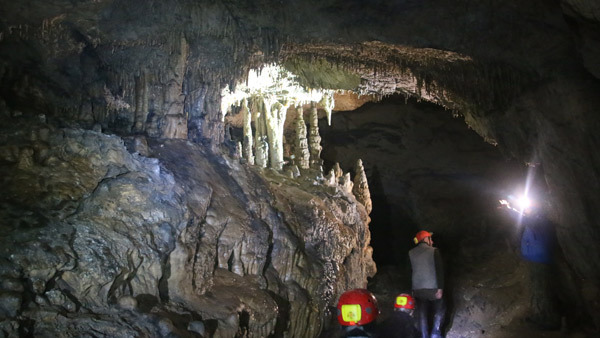 You will visit also one of the most beautiful dripstone caves of the area, Sugau Cave. Your guide knows the trails inside and out in this region, meaning you are getting an insider's tour. 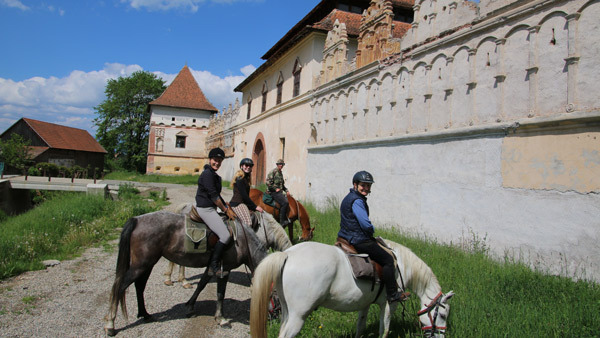 This ride is for travellers seeking an offbeat and authentic Carpathian experience. 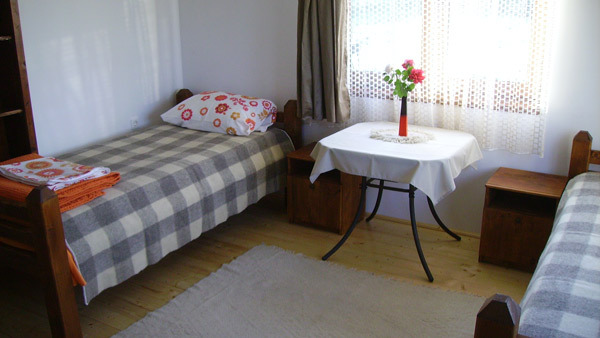 Overnights are in local guesthouses, small pensions, at a local family and in a bungalow. 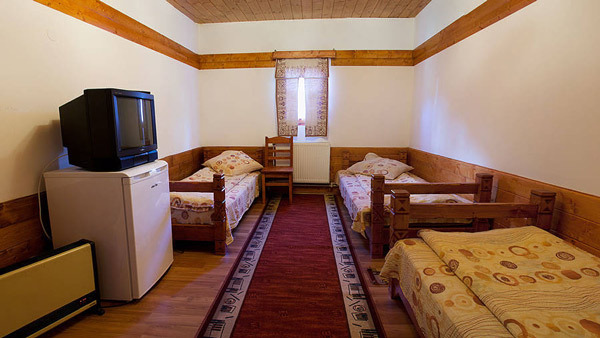 Overall the accommodations are rustic in remote places with true immersion into the local culture an nature. Availability of single accommodation cannot be guaranteed and riders must be prepared to share. Bathroom facilities are either private or on a shared basis. jam, cottage cheese, eggs, mushrooms, tea and coffee. Both hot and cold options are possible. Lunch will be boxed and eaten out on the trail. 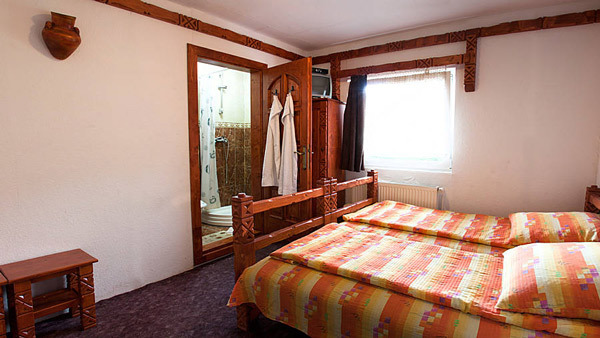 For dinner, traditional Romanian and Hungarian meals which may include soup and hot entrees. The terrain is varied, with open fields and mountain ridges, scenic mountain tops, dense forests, steep climbs and descends. Daily difference in elevation varies between 300-800 m, the highest point of the tour being on Tuesday at the Great Hasmas Peak (1792 m). You ride between 4-7 hours/day. Be prepared to lead your horse in difficult paths. 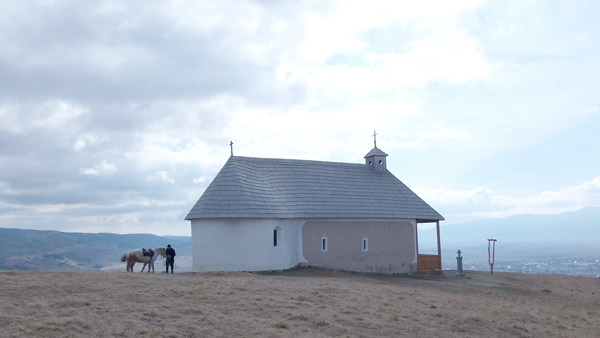 Day 1: Sunday - Upon request, we will wait for you at the airport and take you to Gheorgheni with a private car. 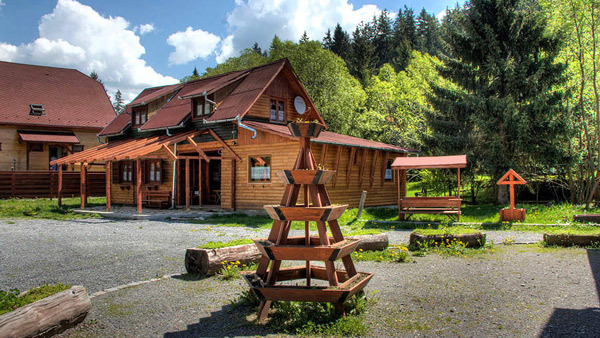 You will stay overnight in the guide’s guesthouse located outside Gheorgheni and discuss the weekend ahead at your welcome dinner. Day 4: Wednesday - Riding in the valley of the Little Bicaz Stream, we arrive at Red Lake. 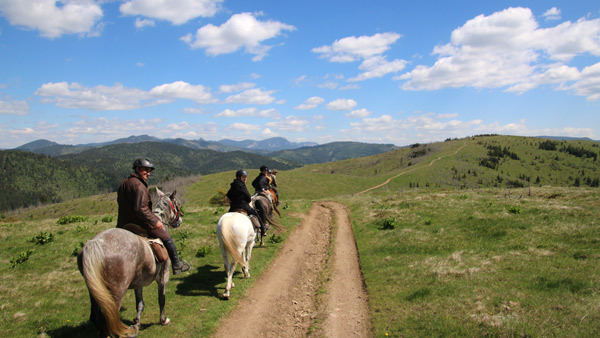 We round it and after which we leave the horses at their shelters, we walk across the dramatic Bicaz Gorges. If there is will and energy for it, we can climb up the Little Suhard Massif to enjoy the sunset view. We spend the night at Red Lake in comfortable bungalows. 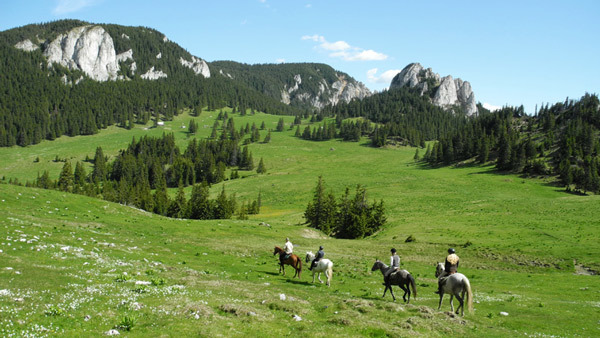 Distance: 17 km, 3-4 hours of horse riding, elevation gain 435 m.
Day 5: Thursday - Leaving Red Lake on an old railway we reach Pongracz Peak, which is the highest point between Gheorgheni and Red Lake. On the old railway we descend to the valley of the Belchiei, where we spent our first night as well. Distance: 25 km, 5 – 6 hours of horse riding , elevation gain 630 m.
Day 6: Friday - From the Bekeny Valley we ride along the Sipos ridge to the unique Sugo Cave. Here we have a picnic and visit this beautiful dripstone cave, then ride back to the guide’s guesthouse in Gheorgheni. 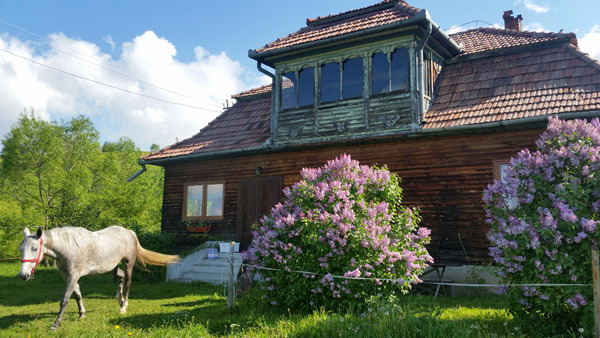 Distance: 25 km, 5 – 6 hours of horse riding + 1h visiting the cave, elevation gain 1260 m.
Day 7: Saturday - Start the day with a wholesome breakfast, then it's time to say goodbye to your fellow participants and your hosts, before you depart from Gheorgheni. 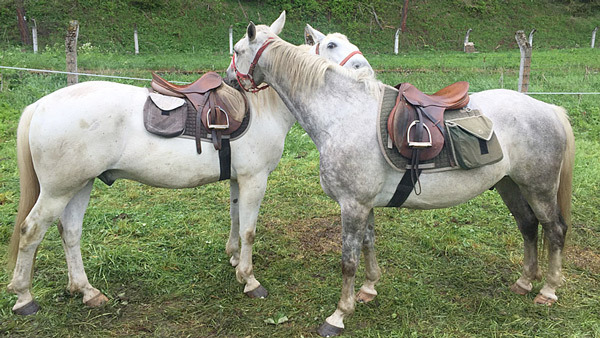 Included in the price: 6 nights, 5 days riding, full board, coffee and tea at breakfast, 1 bottle of water per day, riding and guided cave tour. Not included: Flight, beverages, transfer, bear hide (30 EUR pay on spot). Bucharest Otopeni airport at 4.30pm. Book a flight that arrive at 4 pm at the latest and depart after 1pm. Price: Airport transfer from Bucharest is 135 euro per person. A discount of 35 euro per person is available for 3 or more people booking together. Pay on spot. Sibiu airport at 5.30pm. Book a flight that arrive at 5pm at the latest and depart after 12.00pm. Price: Airport transfer from Sibiu is 115 euro per person. A discount of 30 euro per person per person is available for 3 or more people booking together. Pay on spot. Arrival-/departure day: Sunday afternoon, depart following Saturday after breakfast. Single room: No. Riders must be prepared to share room. Group size: Min. 1 and max 6 riders. Age limit: Min 15 years. Currency: Lei (RON). They do not accept credit cards. It is also possible to pay with EUR in some places, but exchange is recouped in LEI. Wifi: You will have access to free WiFi at your accommodation only on Monday and Thursday and during dinner at the restaurant on Wednesday. On the rest of the days you can use the local 3&4G cell network when it is available. 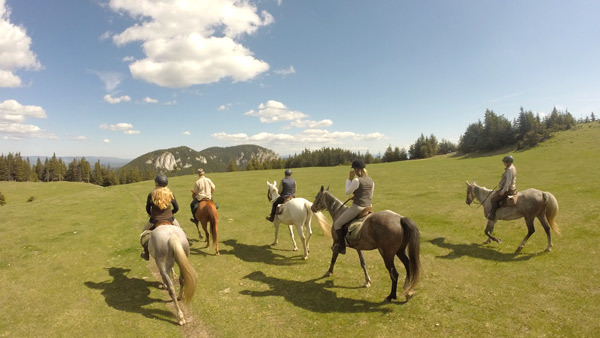 Phone signal: Your daily ride goes through the mountains during most of the tour therefore you may have no phone signal for a few hours during the daily ride between Tuesday and Friday, and no phone signal at all at your accommodation on Tuesday. Locally bred Lipizzaners and 1 saghya arab, with 155-165 cm heights. English saddles and bridles.